You will be pleasantly surprised with our approach to commercial roof installation in Orillia, ON. Integrity – We have worked diligently to build and preserve a fine reputation in Orillia, ON. We have done that through integrity and keeping our customers’ needs first. You can be assured that your commercial roof installation project will be completed on time and to your 100% satisfaction. 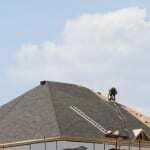 At Slippery Slope Roofing, we offer high-quality commercial roof installation services in Orillia, Barrie, Bradford, Alliston, Newmarket, Midhurst, Cookstown, Beeton, Innisfil, Angus, Collingwood, Wasaga Beach, Oro-Medonte, Midland, New Tecumseth, Clearview, Bradford, Essa, Stayner, Springwater, and surrounding areas of Ontario.